The base recipe Pigskin is the same as Giniu, which is then left to rest in chestnut barrels, which previously contained the Sardinian autochthonous wine Vernaccia. Pigskin Gin is produced from the Sardinian based Silvio Carta, who has also another spectacular Gin, called Giniu. Barrel aged Gin is one of the world trends that will remain, when this Gin fashion exploded in the last five years, will pass. All the attentions and the research of the recent years, will leave in the market new products that can turn the basic organoleptic aspect of Gin; for this reason, a Gin that is finished with a passage in wood, permicts to be used in less classic preparations. Being a different “tool” than a London Dry, for example, it finds its space in the bottle rack. 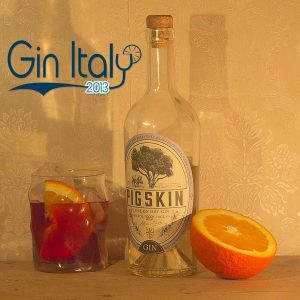 I used Pigskin Gin to prepare cocktails different than those that usually illustrate the Gin Italy’s review: in addition to the Negroni, a Martinez and a Pink Gin. Simple preparations, easy to make at home, that can enhance this ingredient that we love so much. 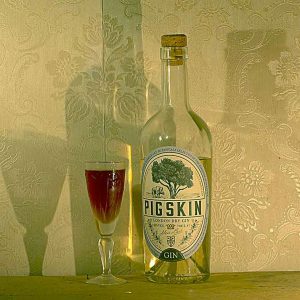 The results will live up to expectations, if you are taking care to choose the right products that match the Pigskin Gin. 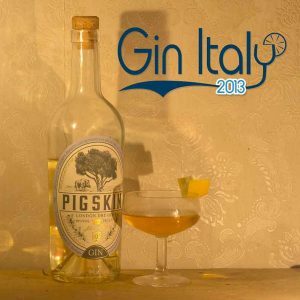 The scent of Pigskin Gin is sweet and salty, the wood finishing is obvious, for its further juniper’s roundness.There are strong scents of myrtle, endemic in Sardinia. Drank neat, you can appreciate the well-balanced composition, which is more complex than a normal Gin with a greater depth on the palate. 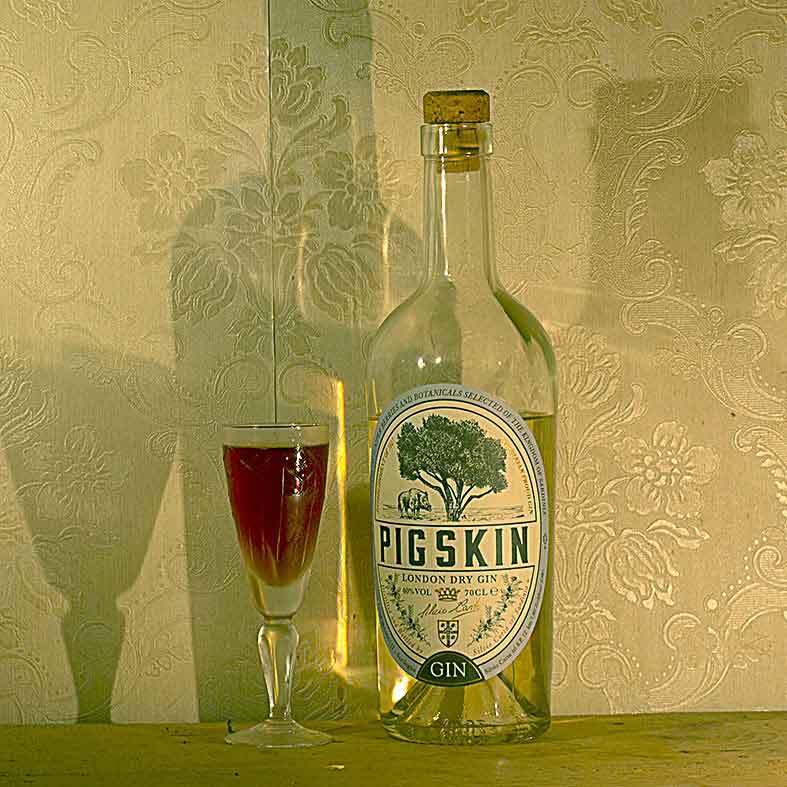 Pigsking Gin is a remarkable product, under many points of view, even for the price placement range, which allows you to enjoy it and experiment without feeling guilty. Definitely it deserves a place in the Gin display of Italian Gins.